Harvard Divinity School senior lecturer Diane Moore has modest goals for her upcoming online course, “World Religions Through Their Scripture.” She merely wants to increase religious understanding, open up crucial dialogues, and change the world — or at least to create a MOOC that will examine religion in a uniquely enlightening way. The course, which launches this spring, will bring together Harvard’s leading scholars in the world’s major religions: Christianity, Judaism, Buddhism, Hinduism, and Islam. As a HarvardX MOOC (massive open online course), it was designed to attract an international, multicultural audience. Moore, a senior lecturer on religious studies and education, a senior fellow at the Center for the Study of World Religions, and director of the Religious Literacy Project, has long been an advocate of “religious literacy,” meaning an understanding of how religion works in its cultural and political contexts. Thus her goal is not to champion one religion over another, but to heighten the study of religion itself. And it’s not often that scholars of each leading religion interact in the real world, much less online. The key to studying religions, Moore believes, is through their scripture. In some ways the class will function like a legal course: When students examine sacred texts like the Bible and Quran, they’ll be noting how they can be differently interpreted. As Moore explains, religions often evolve and change according to the political and cultural climate. Since the course was designed as a MOOC, and not adapted from a traditional classroom course, it aims to minimize the “talking head” style of teaching in favor of video and interactivity. There are six modules: the first an overview, then one devoted to each religion. New content will be introduced on two days of each week. Registration for the course is now open. There will be a panel discussion with the instructors on March 1 at 5:30 p.m. in Andover Hall. The event is free and open to the public. For more information. 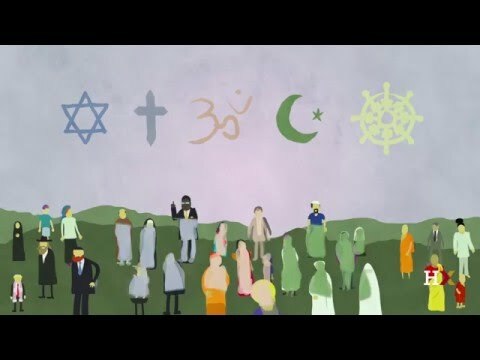 Harvard senior lecturer Diane Moore will be teaching a MOOC through HarvardX, “World Religions Through Their Scripture.” The course, which launches this spring, will bring together Harvard’s leading scholars in the world’s major religions: Christianity, Judaism, Buddhism, Hinduism, and Islam. An educator and award-winning author, Beekan Erena is on a mission to highlight the plight of the Oromo people, the largest ethnic majority in Ethiopia, who have struggled for years for political and economic equality.